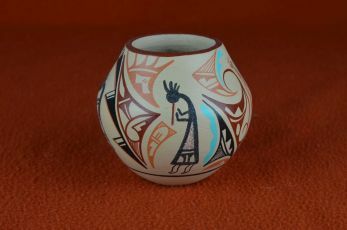 A large selection of Native American pottery. 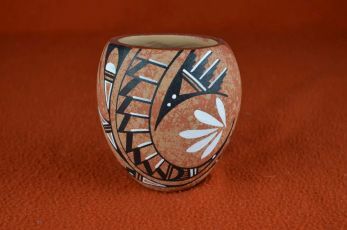 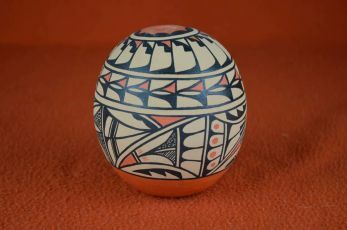 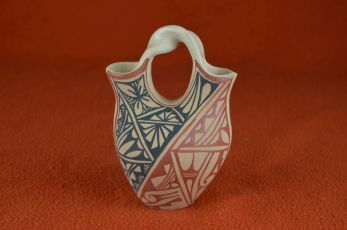 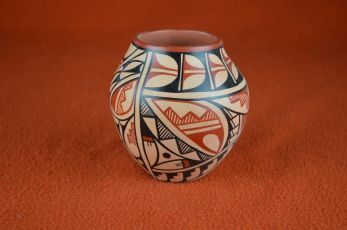 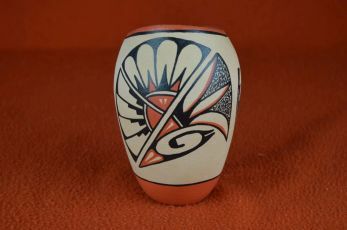 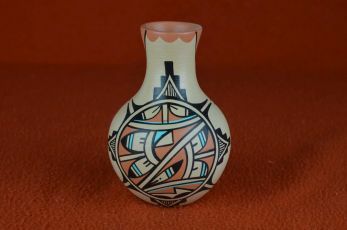 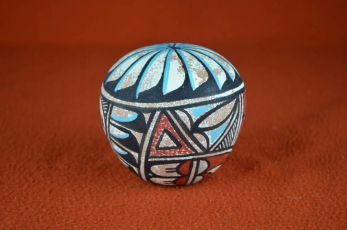 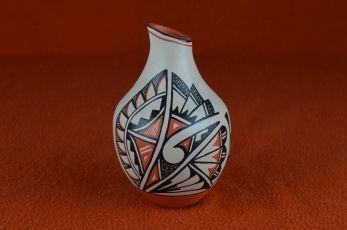 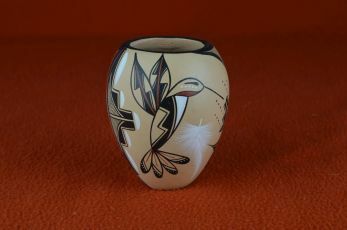 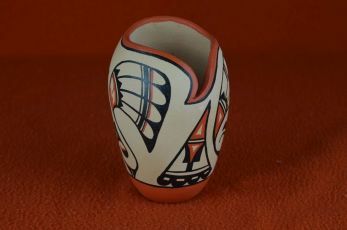 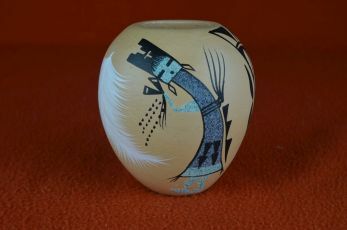 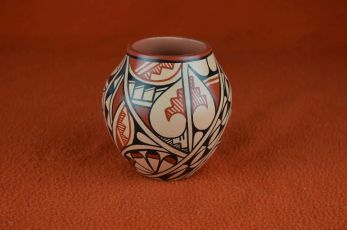 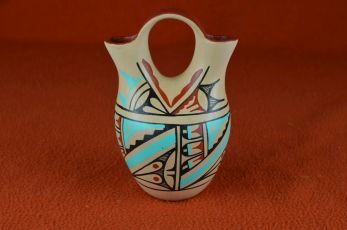 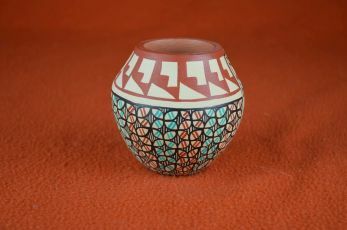 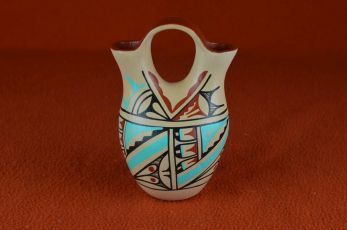 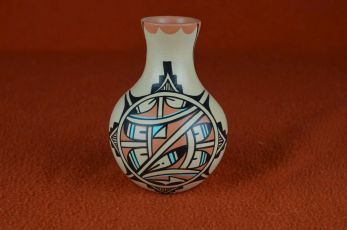 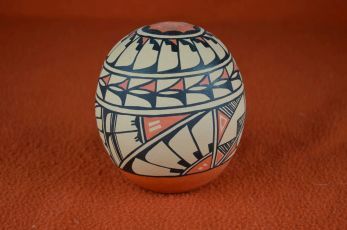 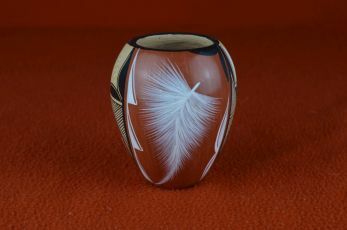 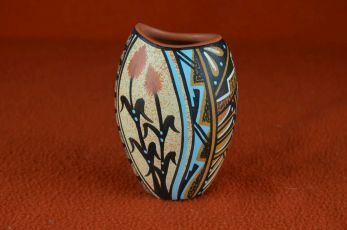 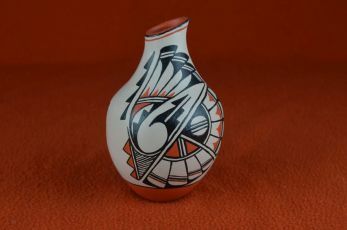 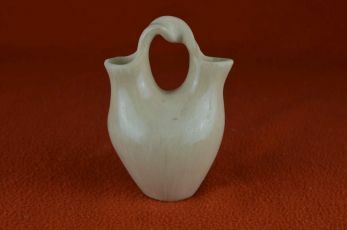 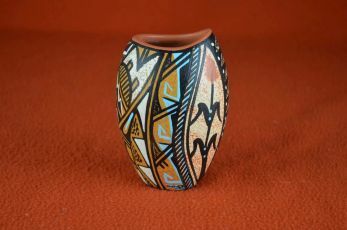 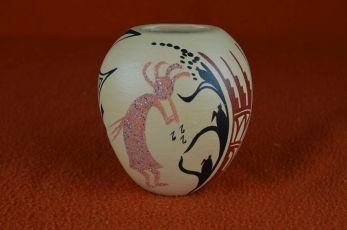 Many great artist pottery at very reasonable prices. 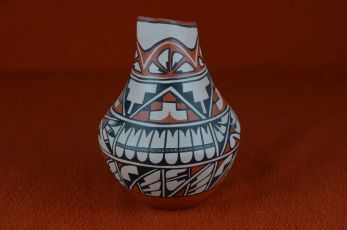 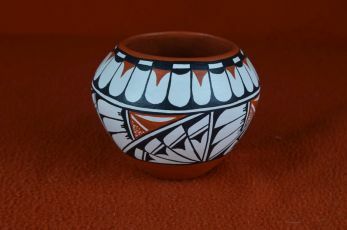 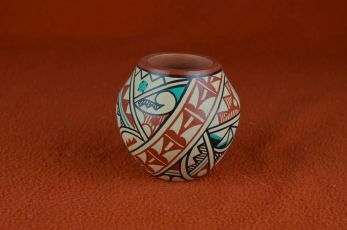 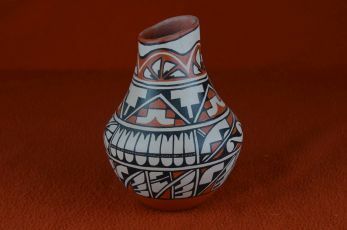 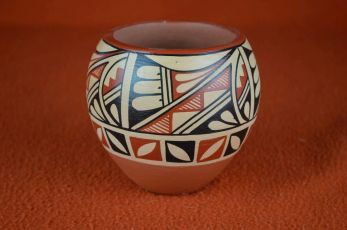 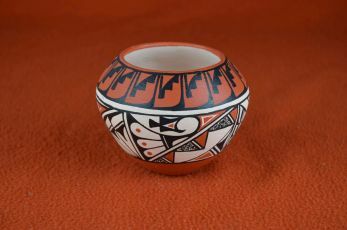 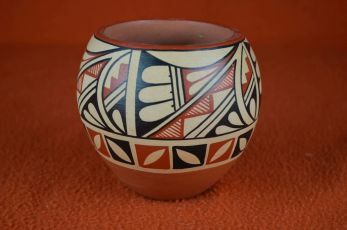 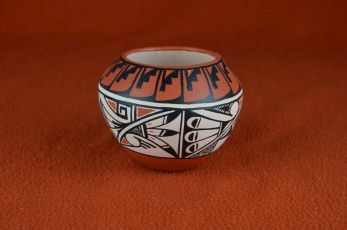 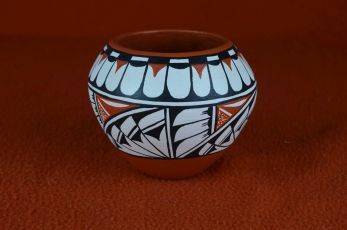 Pottery from Jemez, Navajo, Acoma, Zuni and Hopi tribes. 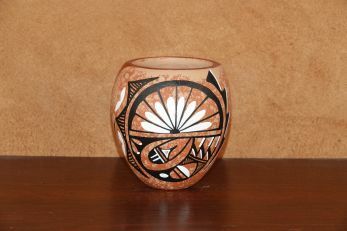 All hand made Coiled pottery! 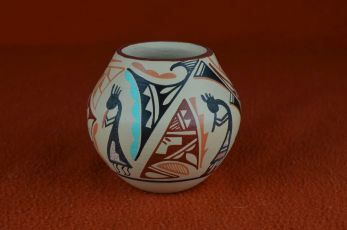 Hand coiled clay, smoothed out and hand painted. 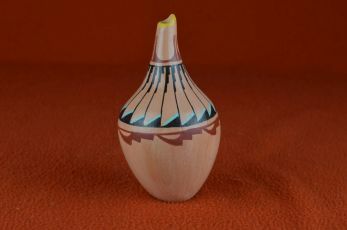 Its amazing how thin they can make some of these, even the seed pots are hand coiled. 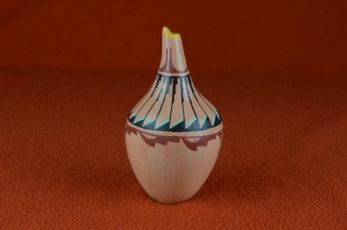 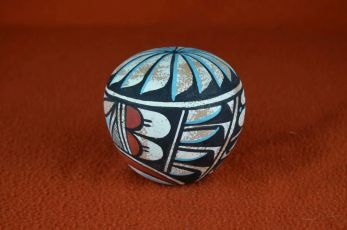 Sits fine, but a little wobbly, made in a unique Gourdlike shape.